MY STUDIO WILL BE OPEN MAY 18TH AND 19TH 2019 from 12pm to 4pm AS PART OF THE LIC ARTS OPEN FESTIVAL http://www.licartsopen.com. PLEASE STOP IN, I WILL BE HAVING AN ATELIER SALE OF MANY OF MY SCULPTURES - OLD WORKS AND NEW ONES! Winner of the top award for sculpture, “Barbara Newington Award Traditional Sculpture” juried by Stephanie L. Herdrich of the Metropolitan Museum of Art at the American Artists Professional League’s 2018 Exhibit at the Salmagundi Club in New York City. Kristina is an award-winning sculptor. 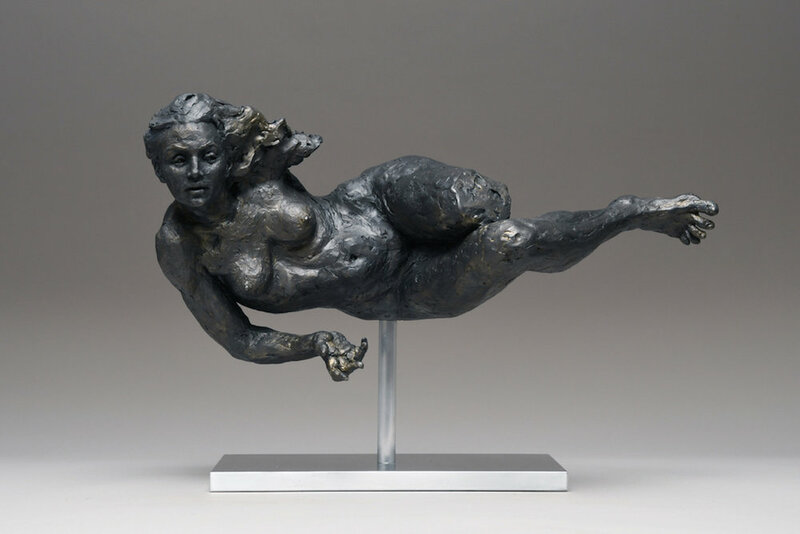 She was chosen to exhibit at Brookgreen Gardens in The National Sculpture Society’s 84th Annual Awards Exhibition in South Carolina and for the last three consecutive years at the historical Salmagundi Club’s Non-Members Exhibit in Manhattan. Her work has been commissioned for world renowned Art Deco styled nightspots in the heart of New York City. She incorporates a style of elegance and composure from having been a professional ice skater and dancer.